This is so simple, yet one of my favorite recipes to serve for Shark Week. Seaweed Dip with Shark Fin Chips. 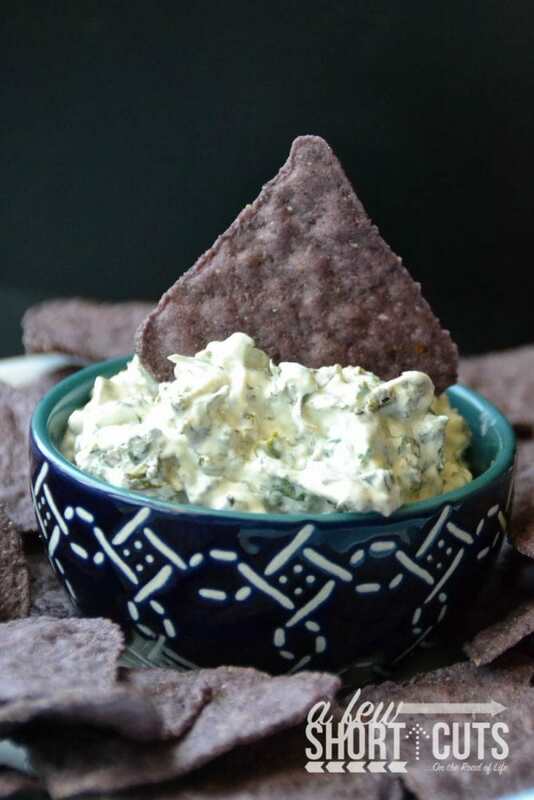 Otherwise know as Spinach Dip & blue corn chips, but that doesn’t sound near as exciting. This looks like sharks swimming in the sea foam. The entire family loves this one. This is the PERFECT snack if you are having a shark week watch party or even a beach party. 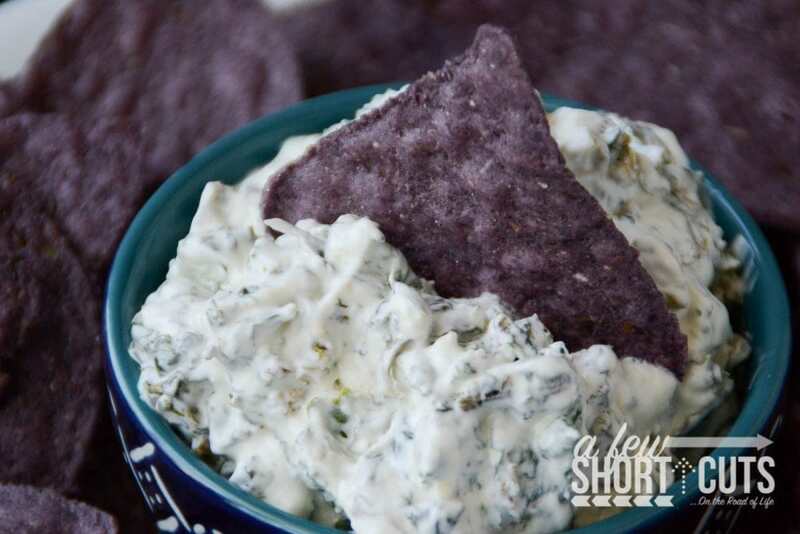 This dip throws together really quick and can even be made in advance. 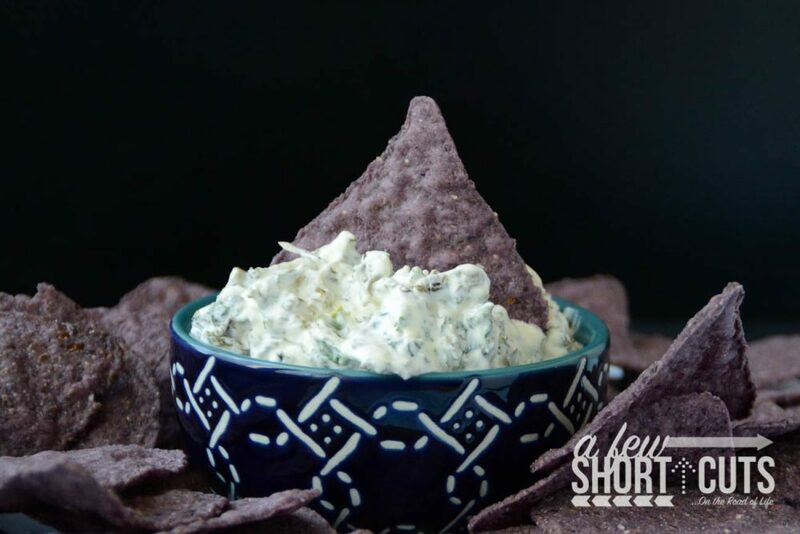 Make sure to have extra blue corn chips on hand because this dip is addictive. Mix together the sour cream, spinach, garlic salt, green onion, lemon juice and last but not least bacon. Refrigerate until ready to serve. Serve with Blue corn chips for shark fins.